Isn't this a great color combination for a guy card? The lighter green is Juniper, New England Ivy is the darker and the brown is Cocoa. Nice! I like seeing this stamp set put to good use. It's one of my favorites. Thanks Dawn! 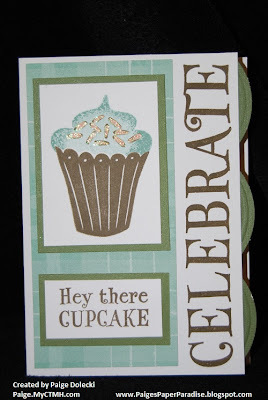 I still want to try using Liquid Applique with this set to make puffy frosting. That will have to wait until after all the holiday crafting I have slated for the next two months!